On Saturday the City of West Hollywood will join with cities, universities, businesses, and landmarks across the country that have committed to turning off or dimming their lights for one hour in support of climate action. 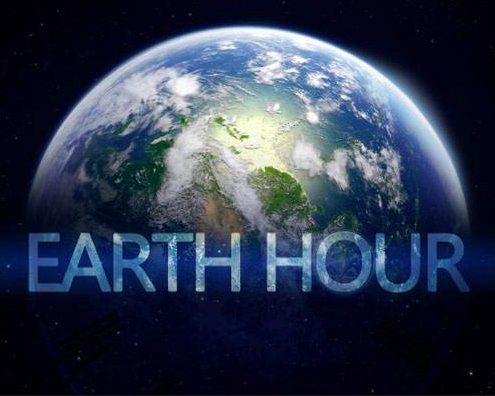 Earth Hour is a worldwide movement organized by the World Wildlife Fund (WWF), an international non-governmental organization founded in 1961. The annual recognition of Earth Hour comes at a critical moment in the fight against climate change. Non-essential lights at City Hall will be turned off from 8:30 to 9:30 p.m. This is another indication of the city’s support for efforts to protect the environment. Earlier this year, the city announced the Clean Power Alliance as its new electricity provider. The City Council selected 100% green power, which provides 100% renewable energy as the default option for the community. Customers will have the choice to opt-in at a different renewable energy percentage. Clean Power Alliance is a public agency made up of 31 local governments across Los Angeles and Ventura counties, including the City of West Hollywood. In 2017, the city joined with more than 1,000 cities and mayors from major metropolitan centers such as Boston, New York City, and Los Angeles to sign the U.S. Conference of Mayors’ Climate Protection Agreement. During the past year, more than 2,600 leaders across the nation, including state legislatures, municipalities, board rooms, faith organizations, and college campuses, have stepped up to declare that they are “still in” and remain committed to meeting climate goals set forth in the Paris climate agreement. In 2011, the city released its Climate Action Plan, which is designed to address climate change and reduce the community’s greenhouse gas emissions at the local level. If some lights are non-essential, why aren’t they always turned off after business hours?